When George Michael died last year news reports all over the world announced the cause as heart failure. The same condition was cited as the cause of death of 61 year old Devo band member Bob Casale, 27 year old Ecuadorian footballer Christian Benitez, actor River Phoenix, The Doors lead singer Jim Morrison, former First Lady Nancy Reagan and Lord of the Rings’ Christopher Lee, well known for playing Saruman the White. There is even a website that lists celebrities who have died of heart failure. As a general physician I know “heart failure” was unlikely to be the cause of death of most of these people. What actually is heart failure? While they are all related to each other, “heart failure”, “heart attack” and “sudden cardiac arrest” are not synonyms. A lay person could be excused for thinking a heart that has “failed” has suddenly stopped, but this is not the medical meaning. Heart failure occurs when the heart is unable to pump enough blood to the other organs to satisfy their need for oxygen and nutrients. It usually manifests as tiredness and weakness, breathlessness and swelling of the legs and abdomen. Sudden death may occur as a consequence of heart failure, but it is not a feature of the disease. 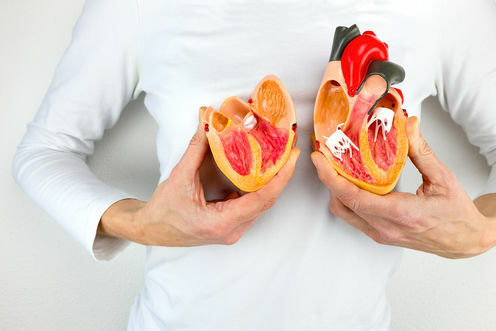 The most important causes of heart failure are coronary artery disease (which causes a heart attack) and high blood pressure, but it can also be the result of damage to the heart muscle itself (cardiomyopathy), problems with the valves (such as “aortic stenosis”) or when the heart’s rhythm is disturbed and it beats too fast, too slow or irregularly (“atrial fibrillation”). A “heart attack” occurs when one of the arteries in the heart suddenly blocks, depriving the heart muscle of oxygen. Typically, a heart attack produces severe, central, crushing chest pain. How much heart muscle dies depends on the extent of the blockage and how quickly the blood flow can be restored through medical intervention. An oxygen-starved heart is unstable and prone to rhythm abnormalities, so a heart attack is one of the common triggers of a “sudden cardiac arrest” which means the heart suddenly and unexpectedly stops. The vast majority of people who have a heart attack do not suffer a sudden cardiac arrest but many will subsequently develop heart failure if sufficient muscle has been damaged. So if not heart failure, what do they really mean? Heart failure is a major public health problem. 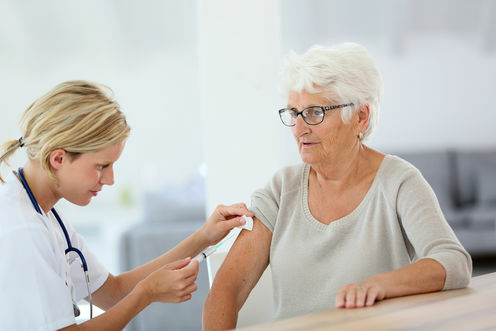 It affects approximately 300,000 Australians and, as it is a disease mainly of older people, numbers will significantly rise as the population ages. The condition increases your risk of dying from a sudden cardiac arrest. Around 50% of people will be dead five years after they receive a heart failure diagnosis, probably from sudden cardiac arrest but other complications are often implicated. This makes the illness as deadly as many cancers. Many of the celebrity deaths, especially the middle aged ones, reported as being due to heart failure were probably the result of a sudden cardiac arrest caused by underlying coronary artery disease. But sudden death can have other causes: these include a clot of blood that travels to the lungs (pulmonary embolism), rupture of the aorta (main artery of the body), intentional or unintentional poisoning or brain haemorrhage. George Michael’s post mortem was “inconclusive” and failed to reveal a specific reason for his death, a surprisingly common finding in this context. On the other hand, 93 year old Christopher Lee had been unwell for some time before he died. He had been admitted to hospital with “respiratory problems and heart failure”, a diagnosis in keeping with his advanced age and reported symptoms. Unlike the others, Saruman the White’s end would have been slower and, hopefully peaceful. Frank Bowden does not work for, consult, own shares in or receive funding from any company or organization that would benefit from this article, and has disclosed no relevant affiliations beyond the academic appointment above.